Battling pimples and wrinkles simultaneously seems like a pretty lousy door prize for making it past teenagerhood. Just when most we think we’ve left our teenage skin nemesis behind, new complexion problems appear. No one enjoys looking in the mirror only to see red, blotchy skin or a fresh bumper crop of hormonal acne cysts on their chin. While some skin conditions only call for a touch more concealer, others indicate potentially serious health issues. 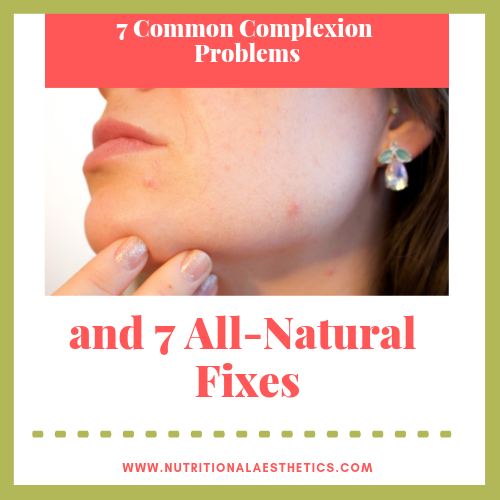 Fortunately, nature provides effective remedies for most minor skin imperfections, so read on to discover how to identify common complexion woes and how to fix them. Those who often find their faces looking like they just left the gym may suffer from excessively oily skin. Enlarged pores in the T-zone often plagues those with excess oil, as does acne. To remedy oily skin naturally, keep it clean, but avoid over-cleansing and drying it out by washing no more than twice daily. Witch hazel makes an excellent natural astringent, as it gently removes excess oil without harming the skin’s microbiome or stripping away the skin’s lipid barrier. As tempting as it is, avoid playing Dr. Pimple Popper, as this can lead to scarring. Instead, address blackheads and whiteheads gently by steaming your face for two to three minutes, and follow a gentle facial massage to help dislodge debris from pores. We also recommend regular facials with an aesthetician who specializes in lymphatic drainage, acupressure, facial cupping, or gua sha. 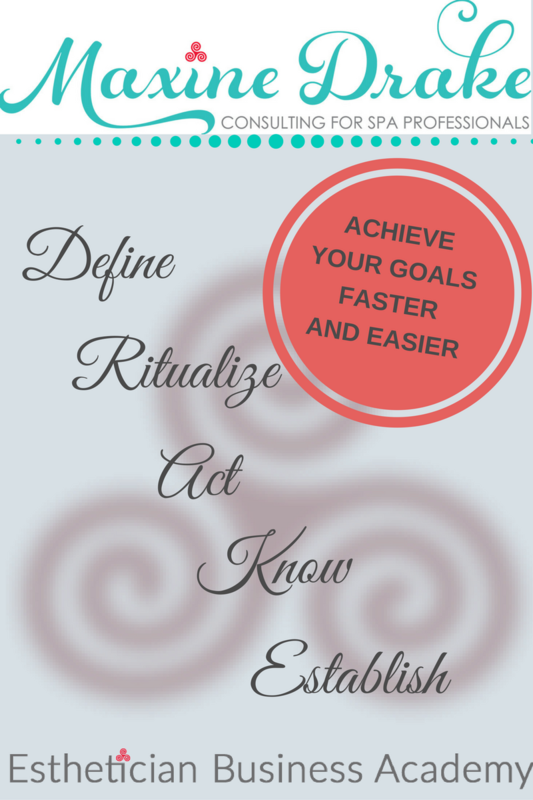 (Learn more about the benefits of these techniques in your NAA File Box! Click HERE to become a member today). Those suffering from chronically dehydrated skin, or xerosis, may feel like they’re auditioning for a role in an old-school production of Phantom of the Opera because their skin feels so tight. Excessive dryness makes skin dull, ashy, flaky and itchy. Severe cases of xerosis cause skin cracking and bleeding. Obviously, those with dry skin should moisturize more, but they must do so correctly for maximum benefit. Apply moisturizer immediately after showering to lock in hydration. Avoid taking long, overly hot baths and showers, and stick to natural, non-drying soaps and washes free of sodium lauryl sulfate, synthetic fragrances, and parabens. Keep a nourishing balm handy around the home and office, and slather on extra during the winter months when harsh, outside temps and dry indoor air dehydrate skin more quickly. If efforts to moisturize fail, and redness, sores, or insomnia-inducing itchiness appear, make an appointment with a licensed healthcare provider (preferably one with board certification in integrative, functional, or naturopathic medicine). These symptoms may indicate an underlying diagnosis of eczema, psoriasis, or another disease of the skin. Most people know they should seek medical care when a mole changes in size or shape to rule out melanoma, but other types of skin spots deserve attention, as well. White patches on otherwise pigmented skin may indicate vitiligo, an autoimmune disorder. Seek medical attention should your skin develop a yellowish hue, especially when the pigmentation change is accompanied by severe itchiness. This may indicate early liver damage, which requires medical intervention to avoid the problem escalating to cirrhosis, or even cancer. Many women develop “age spots,” especially after menopause. While physically harmless, they may cause emotional distress. While certain DIY remedies like apple cider vinegar, baking soda, and lemon juice have been known to lighten dark spots, we don’t recommend them since they can cause further inflammation and long-term damage to the skin. Instead, we recommend herbal compresses and products made with naturally skin brightening and Vitamin C containing herbs such as hibiscus, rose hips, bilberry, Lady’s Mantle, or bearberry. Angry, red skin rashes throughout the body may indicate eczema, psoriasis, or atopic dermatitis. Even infants can develop eczema on their scalps called cradle cap. Flares of redness on the cheeks, nose, neck, and chest may indicate rosacea. Eczema, rosacea, and psoriasis need to be protected, but not aggravated on the outside. Use products that are both hydrating and emollient, made with soothing natural ingredients like aloe, chamomile, and natural carrier oils. It’s important, however, to seek medical or nutritional attention for these conditions too, to help identify food triggers and other potential internal root causes. Lips make up part of a person’s skin, and cracked, dry, peeling lips may indicate an underlying nutritional deficiency. Deep, painful cuts at one or both corners of the mouth are trademarks of angular cheilitis, a condition many dermatologists link to inadequate intake of B vitamins. Consider taking a quality B vitamin supplement, as this may get angular cheilitis sufferers back to eating salty chips and spicy salsa in no time. Scleroderma can make sufferers feel as if they’re slowly turning into some human-lizard hybrid. This condition stems from excessive collagen production, which leads to patches of tough, hard skin throughout the body. Scleroderma may indicate an underlying autoimmune disorder, so consult a physician if the patches become widespread or fail to clear up after applying common natural remedies such as vitamin E topically. Any changes to skin texture or tone deserve attention. Remember, the skin is a window into a person’s overall health, and may show us warning signs that we’ve otherwise ignored. Many changes to the skin indicate nothing more serious than a mild allergic or irritant reaction, and switching to natural, non-toxic, fragrance-free beauty products can make a world of difference. However, rare skin disorders exist, such as Argyria, in which exposure to or excess intake of colloidal silver gives skin a bluish tint. Know when to remedy complexion problems yourself, and when to refer or seek medical assistance. Whether excessive skin oiliness, dryness or discoloration results from environmental exposure, poor diet, genetics or a combination of several things, many women find treating complexion issues with natural products and practices simple and effective. While women should know when to call the doctor over a skin issue (and aestheticians should know when it’s the right time to make a medical referral), most common complexion problems can be alleviated by exchanging synthetic chemical-laden skincare products for herbal ones, having regular holistic facials, and adding nutritional supplements when necessary. Here’s to beautiful, glowing skin for life! 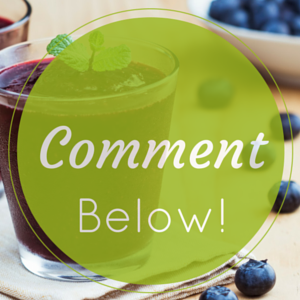 What’s your favorite natural remedy for common complexion problems? Thanks to NAA Member, Kate Harveston, for writing this blog post!